Avaritia has been updated and has fully ported everything from 1.7.10, this mod will no longer be updated, if updating to the newest Avaritia and removing Additions you WILL loose all your work, this includes scripts with minetweaker, blocks/items in game, etc. Use at your own risk. Avaritia is required for Avaritia Additions to load. There is no JEI support currently for the Compressor. To get a singularity just place the block type of the singularity into a compressor and it will indicate how much is needed to make 1. Ex. for a Copper singularity place in a copper block, iron - iron block, gold - gold block. The blocks cannot be chisel blocks. Basically it adds in most of the items and blocks that arnt available in the 1.10.2 version. These are items, (and some decoration blocks) that are used for very high end/end game utilities. These are used for any Avaritia crafting table to substitute for like almost to impossible to get items. It makes it so its not game breaking, for anything op :D (im looking at you DE) You can use them and change their recipes to be incredibly hard to give players a challenge and make it funner than a regular kitchen sink pack. All credit for this mod goes to the original developers or Avaritia! Hi There..can anyone tell why is this happened. When I launch the pack the A-additions tells me that I don't have Avaritia in the mods folder. Its like the addon doesn't read it. Test an older version of avaritia. 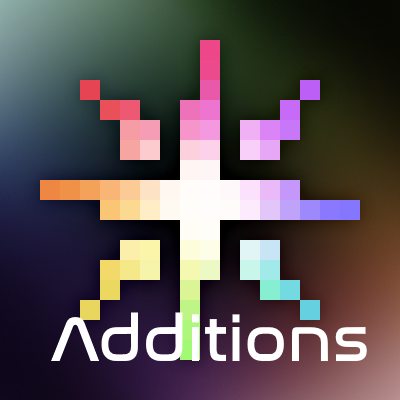 any hints or tips how to create the matter clusters with AvaritiaAdditions-1.6_1.10.2? 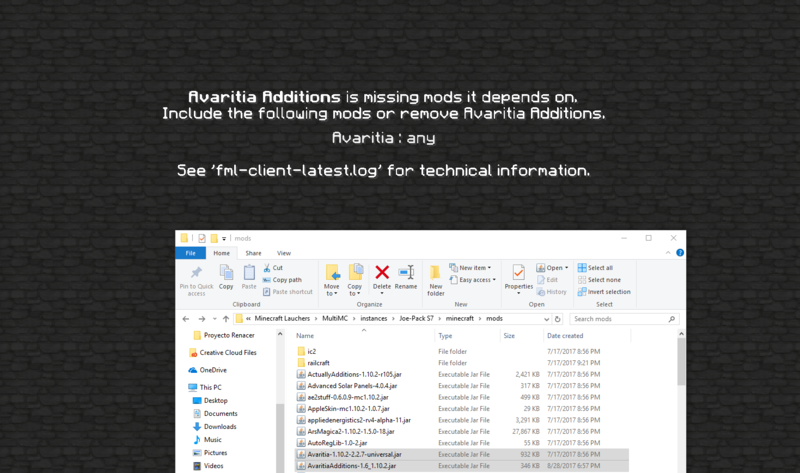 EDIT: When I try to lead latest version of Avaritia with Avaritiaddons, it keep telling me that your addon cant found "Avaritia : any"... What is going on?! Hi, you said everything is ported, but when I used it last time, I don't really see Infinity Chest. so I'm not the only one with this issue. I'm not sure how to fix it, but I'm going to try regressing to an earlier version of Avaritia.EDIT: switching to an older version works, I suggest the third one down for 1.10.2. Would there be a 1.11.2 release any time soon? I'm sure that most people, including me wouldn't play Avaritia without this. I'm interested too in a 1.11.2 release. Do you think you will update your job ? Can you add the old recipes for the items, but with a config option to disable each one? I think that would work pretty well. Can you add a config option to add a block or item to the Infinity Catalyst recipe? So I can add 2 mods to my mod pack that add things that have no uses listed and no recipes known to make them ? I did that and had a look in Creative, and as I'm still none the wiser, can't really see myself adding this. You appear to be working on the assumption that people have used an earlier version of this mod - so I can make a Singularity as described above, but what the heck use is it ?